With a 16-5 win over Astralis on Dust2, FaZe secured a grand final spot at BLAST Pro Series Miami, with Liquid helping them do that with a 16-10 victory over MIBR on Overpass. FaZe squared off against Astralis on Dust2 and the Danes started the game on the CT-side. FaZe won the pistol round as Nikola "NiKo" Kovač and Ladislav "GuardiaN" Kovács came out on top in a 2vs2. Håvard "rain" Nygaard got three kills in a 1vs4 situation in the third round but Andreas "Xyp9x" Højsleth managed to kill him to get Astralis on the scoreboard (2-1). FaZe retaliated in the following round, winning it thanks to Dauren "AdreN" Kystaubayev and rain's double kills in a 4vs4. Emil "Magisk" Reif stopped FaZe's five-round streak with a triple kill on the B-site but Astralis couldn't make it two in a row as NiKo responded with a double kill to close out the following round (8-2). NiKo and company led 13-2 at halftime following their incredible performance on the T-side. Astralis planted the bomb on the B-site in the second pistol round but Olof "olofmeister" Kajbjer and NiKo's kill extended FaZe's lead to 14-2. Astralis won the 17th round and followed it up with two anti-ecos to trail 14-5. 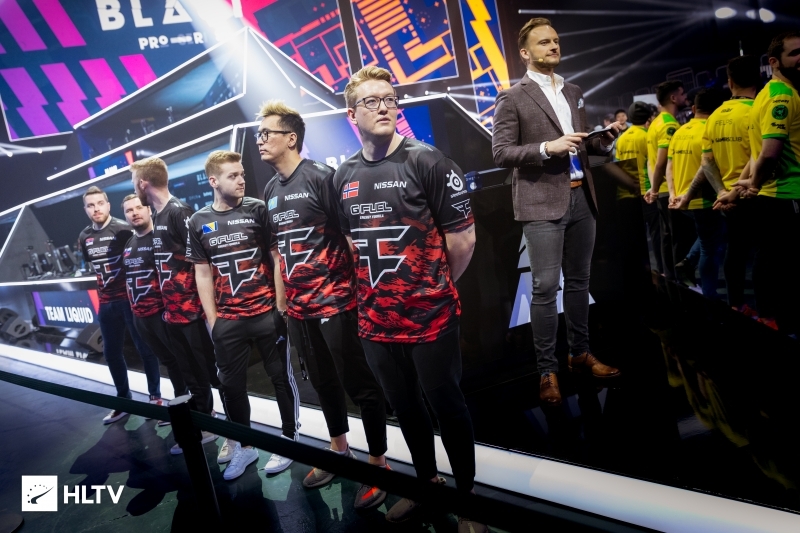 FaZe earned ten match points by taking the 20th round victory and went on to close out the game with a 16-5 final scoreline. A five-round winning streak going the way of MIBR marked the start of Overpass in the last group stage match at BLAST Pro Series Miami, a match the Brazilians needed a win in order to secure a grand final spot. After a 5-0 lead, Gabriel "FalleN" Toledo and Fernando "fer" Alvarenga found entries on A, extending their perfect streak against Liquid, not even allowing them a bomb plant (7-0). Jake "Stewie2K" Yip found a quick double on a Mid push which his team converted on to finally get on the board, with a similar approach working out in the following round as well. Liquid found momentum after that and capitalized on their opponents' bad economy to bring back the score to a tie, 7-7. 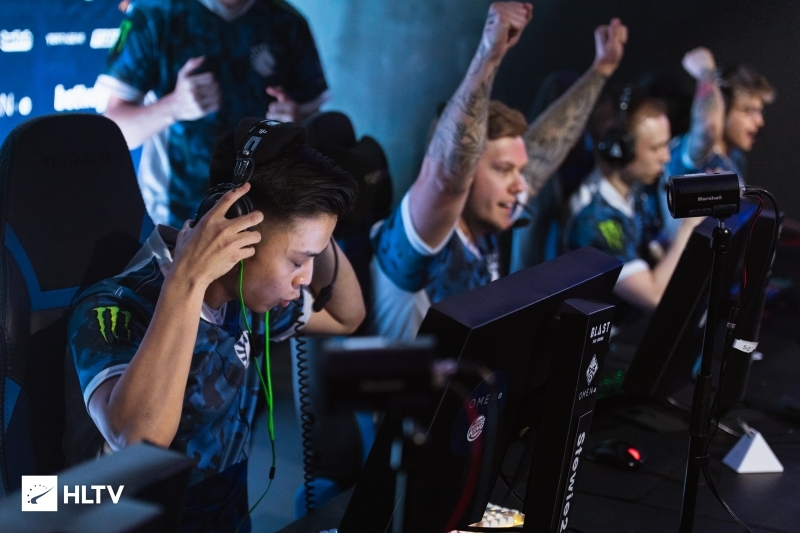 In the last round of the half, Liquid managed to take control of the B bombsite after some trade frags and finish the half with an eight-round streak, taking the lead in the match. fallen and co. finally got their eighth round with an underpass crunch in the second-half pistol, but a force-buy win got the North Americans back on track (9-8). As the score was 12-8, MIBR mustered a force-buy win, but then Nick "nitr0" Cannella stopped any chance of a comeback with a 1v3 ninja defuse (13-9). MIBR managed to win a round that broke Liquid's economy, but Stewie2K and co. replied on a force and closed out the game shortly, 16-10. In the last game of the group stage, which couldn't change which teams advanced to the grand final, Natus Vincere defeated Cloud9. The game started well for the Russian-Ukrainian side, as they went 9-1 up on the T-side of Overpass, but Cloud9 put up a strong fight and made the final score close, 16-13. BACK TO REALITY ASTRALIS FANS FLUKE ERA OVER FAZE IS THE REAL TOP 1 EZ FINALS for FAZE BACK TO REALITY m16r fans LUL #FaZeUP! fnatic didn’t play BLAST, tf you in about, bandwagoner? Yea my boi did you see magisk punched desk, device and dupreeh crying at vacation? Relax. Take deep breaths. It helps. Stop it. Get some help. Also, conspiracy theory: Astralis New permaban is Overpass, and they've decided to uptake Vertigo. What do you say? 2 majors, 1.5 years, fluke era. Congratz, faze made it to the final of... blast. And? How is this relevant to new season? mix super team is back!NiKo leading working!aim on point! Sado calls out Astralis on their tournament, they then go on to lose two in a row.... Coincidence!? 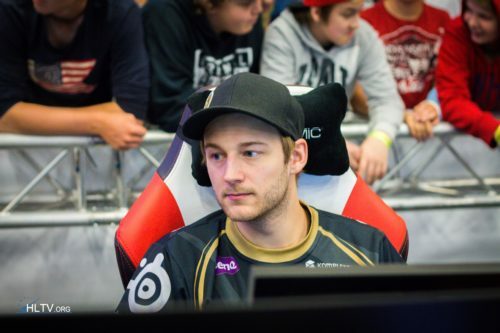 Niko top2? Who is first then? And there goes the Fantasy Team. rip Astralis! let's go liquid !! Totally nothing against Astralis, but nice to see other teams to win for once. Someone should look into the betting. 16-5 & 16-2 results, very suspicious. OMEGALUL, that reply is just pure gold! Like already mentioned, good to see other teams making it to the finals. A bit salty that my team (Na'Vi) didn't make the finals, but it is, what it is. Hope FaZe puts up a good showing against Liquid. interest thing after zonic said a deep playbook, sad for ast. What in the actual hell,faze beat Astralis?? Facts, but where is 9pm est at man?